based on 337 400 votes. 182 user reviews. Unistar - radio station broadcasting from the heart of Belarus - Minsk. First station call letters sounded live December 22, 2000. Listen Radio Unistar available in Minsk with radio speakers that adjust the frequency range of FM-99.5 MHz. Popularity to the Belarusian capital wave came almost instantly. Already presentation concert station gathered in Minsk "Sports Palace" more than 4 thousand people, that says a lot, in particular, good promotions company. Their positions at the time a popular wave only raises in various ratings and is one of the most popular in the country. Format station - musical information. Also heard on this frequency and you can a lot of units of entertainment content. This format is more attractive for people age category " 25+". Among the songs that are aired Unistar, you will hear only the best hits and no unknown adegraundnoy songs. Popular Russian-language compositions occupy a smaller proportion of ether than the hits of artists known throughout the world, whose songs won the hearts of millions of listeners. Also on 99,5 FM offers regular news bulletins, information blocks of the main events in Minsk and in the country, reports from past events and a lot of other information, which you will keep up with the active modern humanity. As we mentioned above, part of the airtime given Unistar entertainment content, which involves regular issues a variety of programs, talk shows, competitions and much more. 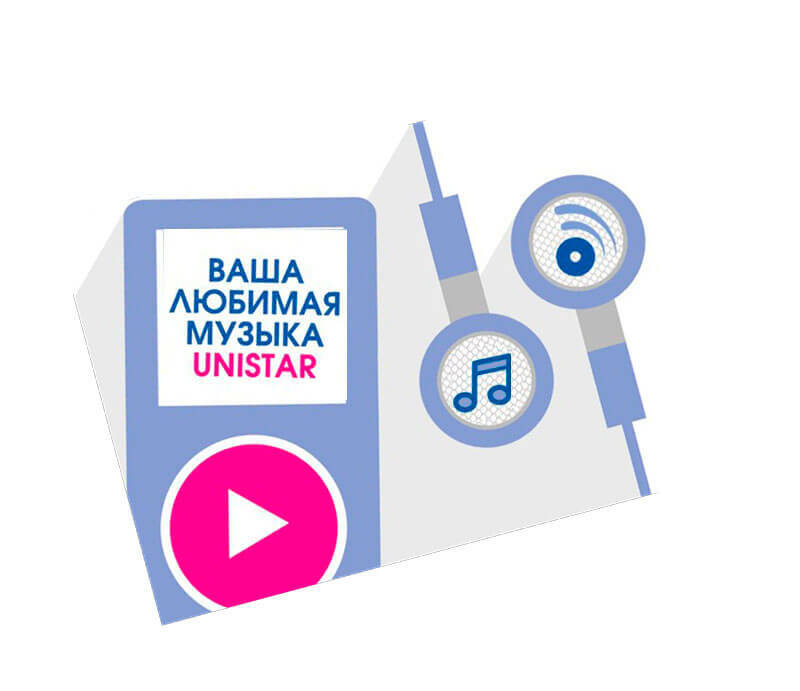 Among the most popular " razvlekalovok " stations are transmitting "Bonia and Anton", "Morning in the City", "Office of the day", "Lunch with Nicholas Bogumilchikom", "History of Famous jewelry", "Shaw music lovers", "5 musical styles on Unistar" and others. Unistar listen radio online, you can go to our portal BestRadio.fm absolutely free. Listen to your favorite station online and have fun. From 701 to 704 office.